I really try to stay on the sunny side of life, and when I encounter something I don’t like I simply chalk it up as a lesson learned, make a note of it, and move on. In that vein I try not villify products on this blog because sometimes just because it doesn’t work for YOU doesn’t necessaily mean it’s bad product. Your zero might be somebody else’s hero. Having said all that here are a some heroes and zeros for your entertainment. I am a HUGE fan of Bobbi Brown products and think for the most part they are apretty wesome but I have encoutered a few disappointments lately. This is probably the WORST eyeliner I have ever used in my life. It’s heavily pigemented which is normally a good thing except for it is very, very smeary and gets everywhere. So not only does go on messily it immediately smears all over your eyelid. If you are going for the Keith Richards/heroin chic look than look no further. . I really tried to like this mascara, but it’s just didn’t do anything. It’s more like an extreme party pooper mascara. I had to put on three coats before it looked like I had even put on one coat of mascara. You are making me work too hard with this mascara Bobbi! This is just a regular old hairspray that smells like dirty old lady underpants (or at least what I imagine dirty old lady underpants to smell like). The first and last time I wore it, I kept trying to figure out who smelled so bad before I realized it was me! It’s expensive and smells terrible. Walk away. 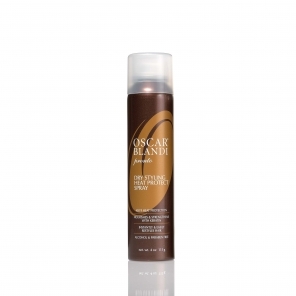 The awesomeness of Oscar Blandi’s Dry Styling Heat Protect Spray was a delightful surprise. 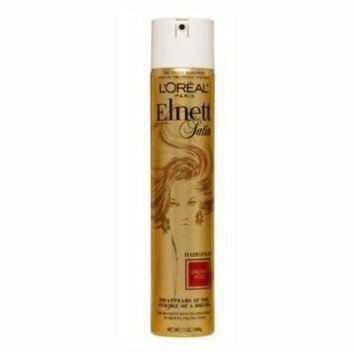 It came in a kit I bought for the dry shampoo and I only used it beause I had it on hand. You spray this on your hair prior to blowdrying your hair and it works fantastic as a styling agent in lieu of a mousse, gel or a serum. It tames your hair without weighing in down, which is perfect for fine hair like mine. I don’t ususally use the words great and eyeliner too often but this is a great eyeliner with excellent pigment that goes on easily and stays on. I have even been using it on my waterline and not only does it stay, but it doesn’t irritate my eyes. Good stuff! I have a hard time finding a blush that works with my coloring. Usually they make me look too pink, are barely noticable or are just wrong for me. I received Hot Mama in my most recent birchbox and am so happy with this color. Hot Mama is the perfect peachy-pink and I think it would work well on most folks. It also works well as a stand-in for eyeshadow. This was so much fun, I’m going to do it again. Got any heroes or zeros for me? 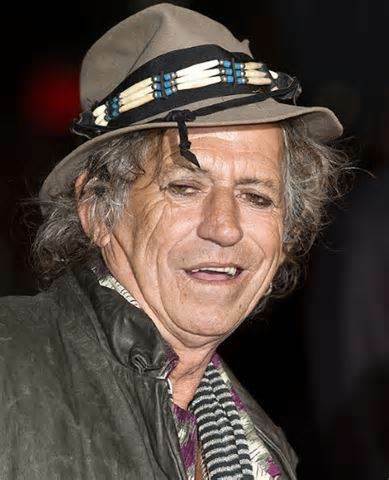 Don’t throw that eyeliner out too soon, I think the Keith Richards look is creeping in slowly. As far as the scent of the hairspray – pitch it. 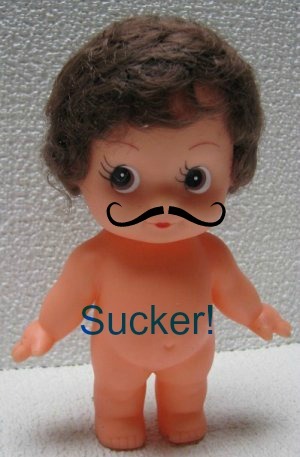 I tried using Urban Decay’s primer which weirdly made it worse, because it smudged and then it stuck. I ended up using a baby wipe to take the whole mess off :p. #firstworldproblemsright?